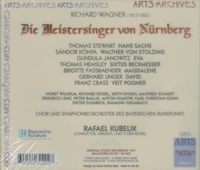 �The version DG recorded and then suppressed, with Thomas Stewart unsurpassable as Sachs, the young Brigitte Fassb�nder, Gundula Janowitz, Thomas Hemsley and a conductor who does not labour the jokes, is perhaps the best MEISTERSINGER recording of all time; this is a �must� for all MEISTERSINGER lovers. 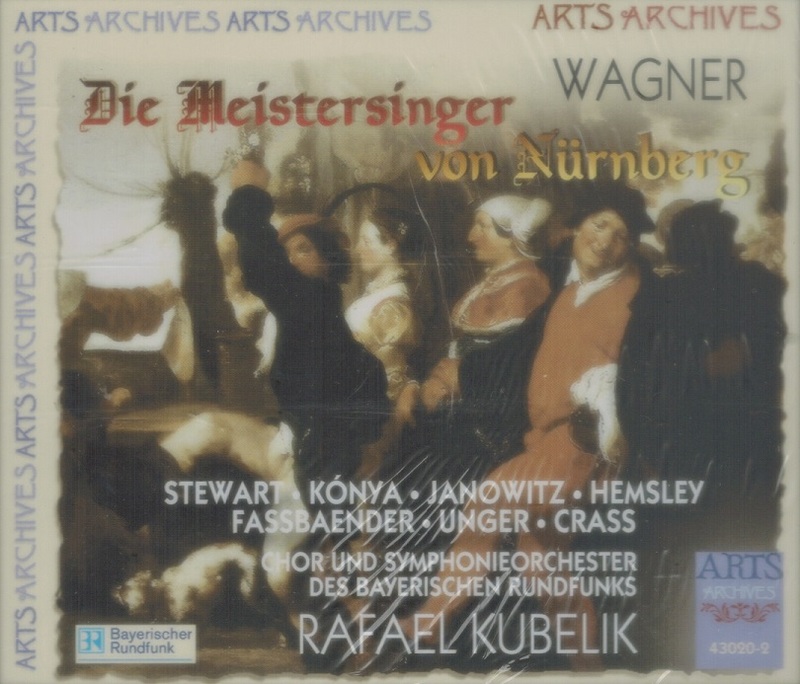 �There could be no more fitting memorial to Kubel�k than the appearance of this, probably the most all-round satisfying MEISTERSINGER in the era of stereo. It was recorded in 1967 by Bavarian Radio to mark the work�s centenary the following year. Kubel�k conducts an unforced, loving interpretation, showing a gratifying grasp of overall structure. As a whole, the reading has an unobtrusive cohesion achieved within flexible tempi and dynamics. Everything proceeds at an even, well-judged pace with just the right surge of emotion at the climaxes. All this is conveyed unerringly to his own Bavarian Radio forces. 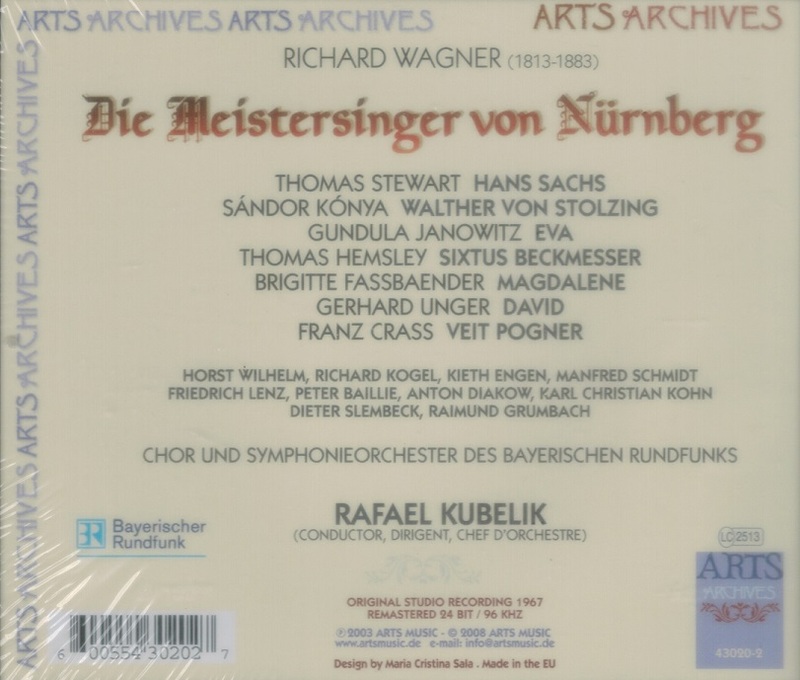 �Kubel�k is a conductor who was rather neglected on record, thus this recording is testament to his greatness. It is a huge loss to Wagnerians that this recording, made in 1967, was not released until 1994 (internal politics kept it on the shelf) - but now we can hear and revel in one of the great examples of Wagnerian conducting on record. Kubel�k also has the best cast on disc. Thomas Stewart's Sachs has the weight and earthiness with something close to an ideal mixture of bass and baritone, and in terms of characterization an ideal balance among poet, cobbler and mastersinger. Gundula Janowitz as Eva has never been even remotely approached for sheer tonal beauty and radiance. She sings all of her role, especially the �O Sachs, mein Freund� outburst, and the great �Selig wie die Sonne� leads into the Quintet with a gleaming, warm radiance, a silvery serenity and an incandescent glory that, allied to her perfect phrasing, are incredibly moving. Walther, often the weak link, is here turned into one of the greatest strengths of the opera by S�ndor K�nya, a little-recorded Hungarian tenor. He sings here with a youthful ardency that is enormously compelling, and his voice is a radiant outpouring of liquid gold, quite able to match the voice of his Eva in tonal beauty. Each time I listen to the Quintet and hear him enter with �Deine Liebe�, a chill runs down my spine; and his ecstatic account of the 'Preislied' is peerless. With glorious playing and singing from the Bavarian Radio Symphony Orchestra and Chorus, a superb supporting cast, and demonstration-quality sound, this must take its place as the top recommendation."